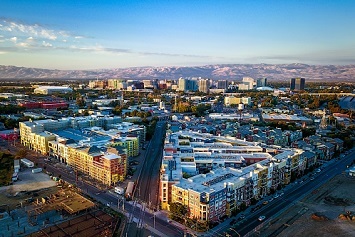 Silicon Valley, the epicenter of technology in the United States, was built upon, and still thrives on, open exchanges and disruptive thinking. These tenets are woven into the cultures of many workplaces and serve to foster radical innovation and attract the best talent they can. This was all brought into stark relief in the days following the shooting on the YouTube campus, when a woman, angry with the company’s changing policies on ad payments, wounded three employees before taking her own life. The shooter gained access to the courtyard, where employees were having lunch, through a parking garage. More and more, companies have restricted outside access to these common areas through hardened security measures such as armed officers, fenced parking lots, and/or metal detectors. Though still early in the process, it seems that YouTube and other Silicon Valley companies with similar cultures are, instead, looking to implement less-hardened security measures to keep their campuses safe. Outside security experts note that YouTube’s security goals could be met by adding additional layers to structures and landscapes, such as more lobbies and hedges. Because this is Silicon Valley, high-tech solutions such as robots, drones, and video analysis software could play increased roles.